A Series of Unfortunate Events has given a fortunate boost to the career of one BYU alum. If you believe his job résumé, New York illustrator Brett L. Helquist (BFA ’93) is involved in a grim and gloomy business. That is more than fine with the “ill-fated” artist. His illustrations depicting the desolate adventures of three resourceful orphans have become familiar to readers of a best-selling series of children’s books, which recently inspired a Jim Carrey movie. 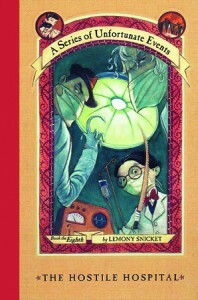 The books compose Lemony Snicket’s A Series of Unfortunate Events, written by Daniel Handler, and Helquist received a commission to illustrate the first two in 1999. Their success—and the triumph of nine subsequent volumes—means he can devote his full time to painting, drawing, and writing books. To prepare for the assignment, Helquist immersed himself in the lives of Violet, Klaus, and Sunny Baudelaire, kind-hearted and smart children whose days are filled with bad luck. A microscopic sampling of their trials might include a hurricane, hungry leeches, cold cucumber soup, and a horrible villain. Until Lemony Snicket came along, Helquist was like many aspiring illustrators, trying to get a break in New York. It also took him a while to find his way to art and illustration at BYU. Barrett, then chair of the Visual Arts Department, says Helquist came armed with enthusiasm and a series of sketches he had done on his mission in Hong Kong.